We are specialized in the supplying of Multi Disc Clutch in all over the country. 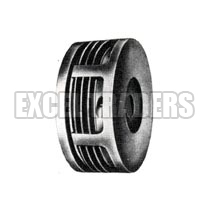 The Multi Disc Clutch is procured from the well-known sources to ensure its reliability. The Multi Disc Clutch is made from the finest materials in compliance with the set industry standards to ensure its reliability. Mainly used in machine tool and where dimensions are critical. These are normally off type units. Frequent adjustment is required as clutch plates wear.